Lesley Thorne is an Assistant Professor in the School of Marine and Atmospheric Sciences at Stony Brook University. Born and raised in Kingston, Ontario in Canada, Lesley received a BSc (Honours) at the University of Guelph and a PhD from Duke University in North Carolina. 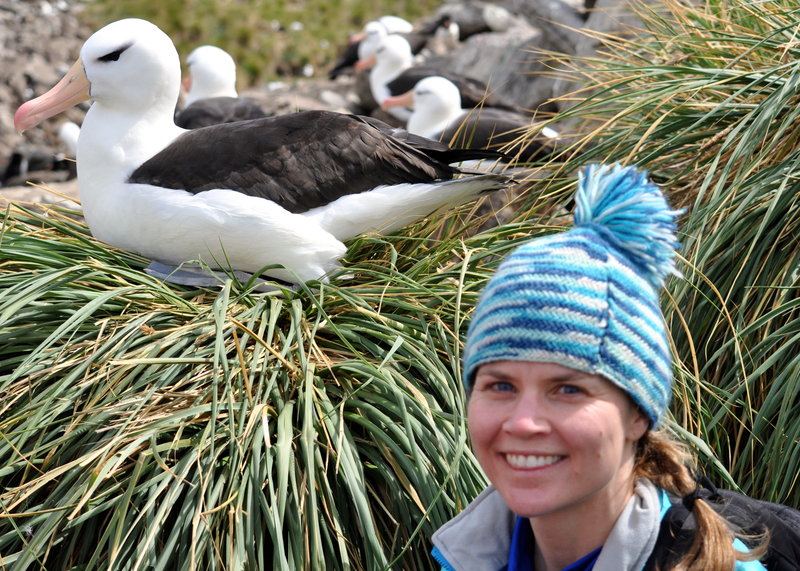 She has worked in a wide range of marine systems, including the Bay of Fundy, the South Atlantic Bight, the Sargasso Sea, the western Antarctic Peninsula, and the Main and Northwestern Hawaiian Islands. Lesley is broadly interested in ecological questions in coastal and pelagic systems, and much of her research focuses on understanding links between environmental variability, foraging behavior and population processes, and on elucidating biophysical interactions driving the habitat use and foraging ecology of different marine predators.